eBay Inc.’s marketing mix or 4P is an example of how this type of e-commerce business can maximize its online service revenues. A firm’s marketing mix (or 4Ps) defines the strategies and tactics used for executing a marketing plan, involving decisions regarding product, place, promotion, and price (4P) variables. In eBay’s case, the focus of the marketing mix or 4Ps is on services for buyers and sellers. For example, the company’s products include its marketplace services for online consumers and vendors. In managing the effects of customers’ expectations, the business aligns its 4P to global market dynamics. The company’s pricing strategies are designed to ensure competitiveness against Amazon, Walmart (Walmart Marketplace), and smaller competitors. As one of the main players in the e-commerce industry, eBay Inc. has competitive advantages for attracting and retaining online shoppers and merchants. However, the company’s marketing mix must adjust according to trends in the industry environment. 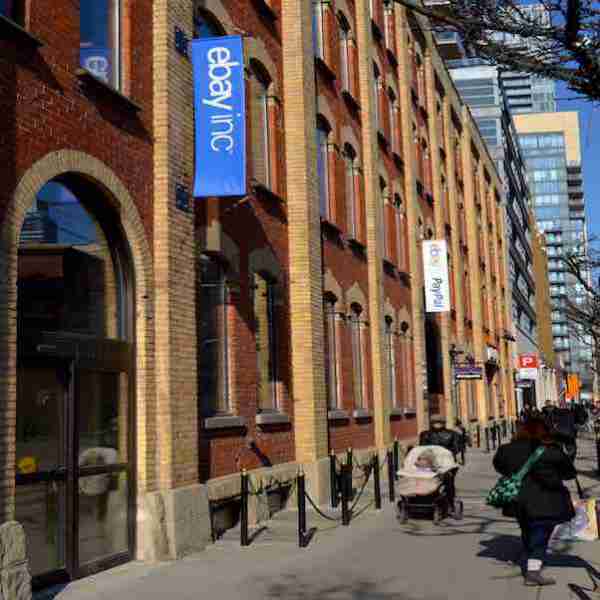 eBay’s marketing mix reflects the company’s perspective about the e-commerce market. For example, the corporation’s 4Ps consider the purchasing behaviors of consumers and sellers in using different information technologies, such as mobile technology. The company uses these behaviors in designing its products. In relation, the evolution of subsidiaries like StubHub and Kijiji is based on the company’s 4P. These interconnections stress the importance of the marketing mix in shaping strategies and management approaches in the multinational business, and in supporting eBay’s corporate vision and mission statements. Marketplace services are the core of the global business. These services are available at the main website ebay.com, as well as localized websites for various markets. For example, ebay.com.au offers marketplace services for the Australian market. Marketplace services allow consumers and vendors to make and complete deals. This part of the 4Ps also includes ticket exchange services through StubHub.com and corresponding localized websites. These online services allow users to buy and sell tickets to various events. Moreover, the company has classified listings websites, such as Kijiji. This product mix shows that eBay’s marketing mix is composed of online trading platform services. Official websites and mobile apps are the main places for customers to access eBay Inc.’s e-commerce services. For example, merchants and shoppers can use the company’s marketplace websites and apps for iOS and Android. In this part of the 4P, the company also distributes its products through its application programming interface (API). The API allows third parties, such as other websites and apps, to access the company’s services and its database of items for sale. Thus, these places optimize efforts to reach target markets and support eBay’s generic strategy for competitive advantage and intensive strategies for growth. This marketing mix shows that the company’s strategic management aims to provide multiple options for accessing the services of the business. Sales promotions are among the most significant strategies in eBay Inc.’s promotional mix. Designed to increase sales in the short term, these sales promotions include discount coupons for shoppers and special offers for sellers. The 4Ps also include advertising, which is infrequently used in attracting more users to the company’s online trading platforms. Furthermore, public relations help promote the company’s business and brands. For example, the eBay Foundation maintains corporate social responsibility programs that increase the company’s visibility in various markets around the world. Overall, this aspect of the marketing mix emphasizes managerial focus on short-term promotional activity. The market-oriented pricing strategy involves prices that are set based on current or prevailing market prices. For example, eBay’s current seller fees are comparable to competitors’ fees in offering e-commerce services. The company’s 4P also involves dynamic pricing, which allows flexibility in setting prices. For instance, fees include fixed fees per item sold, as well as fees as a percentage of the final sale amount. Vendors can choose among selling formats and corresponding fees. Through the dynamic pricing strategy, the company manages customers’ expectations on sales format flexibility. This aspect of eBay Inc.’s marketing mix helps optimize profits as the global business grows its sales revenues. eBay Inc. – Standard Selling Fees.